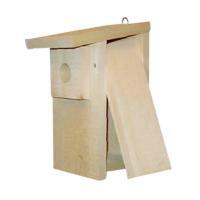 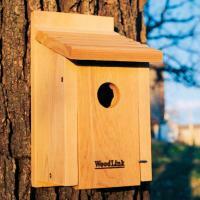 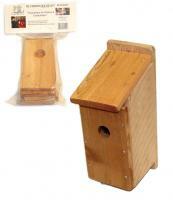 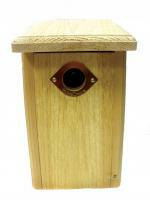 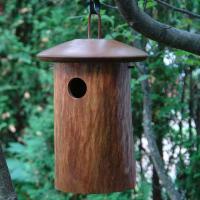 A bluebird house is most commonly made of wood and usually attached to either a fence or tree. 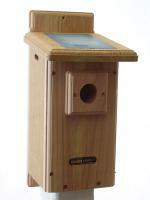 The bluebird is one of the more skittish bird species, so it's important to place your bluebird house close to a natural bird habitat to encourage nesting. 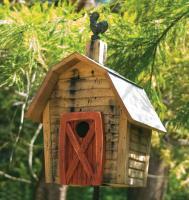 Our bluebird house collection offers a number of styles and designs, from red-cedar villas--ideal for a whole family of bluebirds-- to the more modest, yet popular, driftwood boxes. 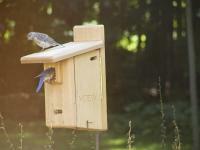 Most bluebird houses also come with drainage holes and are predator-proof. 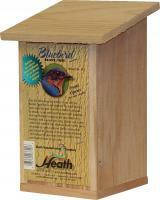 Have questions about our bluebird house selection? 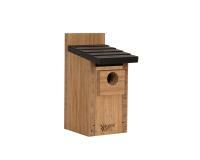 Then just give our knowledgeable customer service staff a call and they'll help you pick out the bluebird house that best fits your needs.